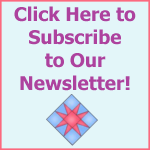 Make a Calendar and/or Make a Quilt! 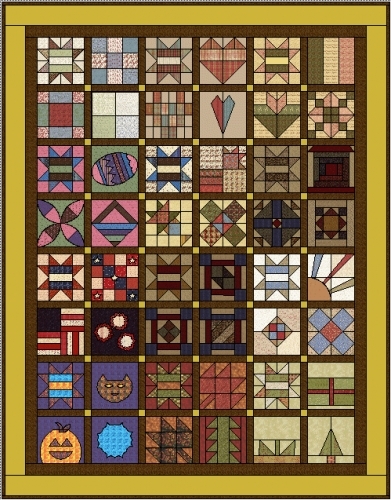 This 2007 BOM project was designed as a calendar quilt, but also as a quilt calendar! You can choose to make the four 7″ blocks with us each month, and then determine if you want to create a quilt or a calendar (or do both)! We are starting with March because I wanted to give everyone a chance to recover from the holidays. We will be revealing the 3 monthly blocks and fabrics for each monthly set, until the pattern is launched on the first of each month, February 1, 2007 through January 1, 2008 ~ we want there to be a bit of mystery, an element of surprise … and the opportunity for you to stop for just a moment and consider that when quilters put the same amount of work into their family and friendships … that they do in their quilts … I’m betting we have some *wonderful* groups of people walking around with a big smile on their faces!